The Union Human Resource Development (HRD) Ministry issued an order for the constitution of a two-member inquiry committee to investigate allegations against the Manipur University Vice Chancellor Prof Adya Prasad Pandey relating to the administrative and financial irregularities in the management of the affairs of the Manipur University. The order of the HRD Ministry was issued a day after the Manipur University community, the HRD and the State Government signed a Memorandum of Agreement at the end of the three-day meeting on Thursday. 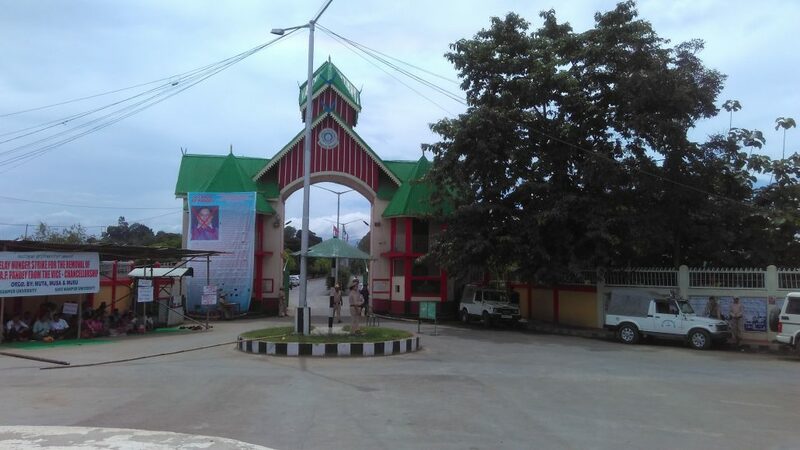 The three-day meeting was attended by representatives of the Manipur University Students’ Union (MUSU), the Manipur University Staffs’ Association (MUSA) and the Manipur University Teachers’ Association (MUTA) on one side and GC Hosur, joint secretary, HRD, on the other, in the presence of Manipur Chief Minister N Biren Singh, among others. 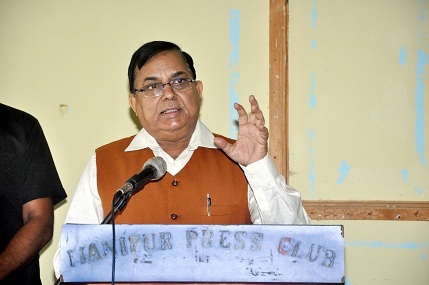 The former Vice Chancellor Prof M K Choudhury of Tezpur University was named as a member of the probe team along with T Nandakumar Singh, former acting Chief justice of the High Court of Meghalaya to probe the allegations leveled against Vice Chancellor Prof Pandey. While Nandakumar is the chairperson of the probe team, M K Choudhary has been named as a member. The inquiry committee would be free to device its own procedure for conducting the probe, says the order of HRD Ministry issued by its under secretary Vijay Kumar. However, while formulating the final conclusion, the committee would rationally consider the response of the concerned persons in accordance with the principles of natural justice. The inquiry committee shall submit its report within one month from the date of issue of the order, the order further stated. Earlier, the Ministry had constituted a three-member committee to be headed by Nandakumar, with J K Tripathi, UGC joint secretary and Surat Singh, deputy secretary, HRD Ministry. However, the inclusion of the two UGC members was strongly objected by the varsity community claiming that the above two officials were close acquaintances of Pandey. The MUSU had launched an indefinite shutdown on May 30, which has paralysed the functioning of more than 80 colleges affiliated with it for over two months, demanding the ouster of Vice-Chancellor Pandey, accusing him of financial and administrative irregularities, which the latter has denied. Meanwhile MUSU, MUTA and MUSA after holding a joint meeting in Imphal on Saturday announced that they will not even make temporary suspension of their agitations as the HRD Ministry order has failed to honour the terms/points included in the MoA signed on August 16.